Paint pulls from the brush to the canvas. Ashley Hizer is working in her Decatur sunroom, the tile speckled with drops of acrylic paint. What’s taking shape isn’t a form or figure; rather, it’s an abstract panel with complementary and contrasting colors pulling texture to create the work. 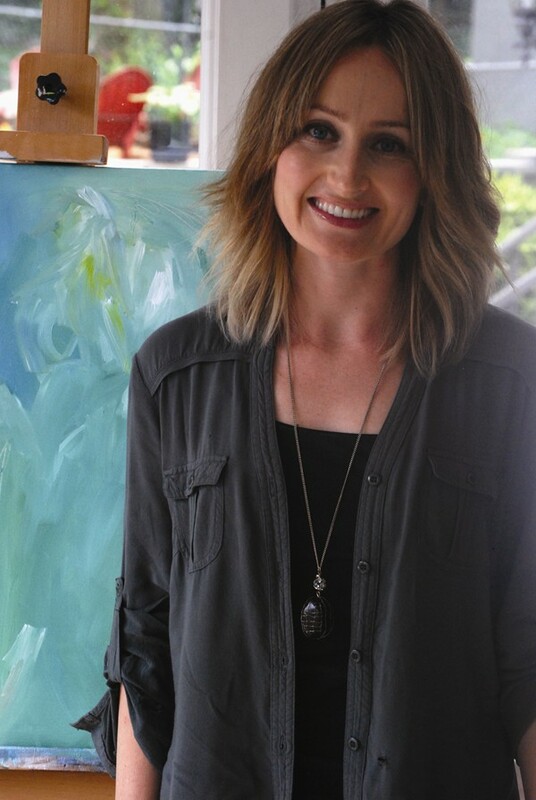 Hizer started her career as a journalist, then a teacher and now does art full time. She describes herself as having always been interested in art but pushed it to the side to focus on other things. It took a fortuitous break in her professional life to make the jump. In between working odd jobs the summer of 2013, Hizer started putting canvases up on the craft-selling site Etsy. Before long, she had enough buyers to consider going full-time. First friends and family, then people she had never heard of before became her customers. In late October, she got a call from the Jeffrey Meier Gallery in New Jersey. She now has pieces there, in another gallery in Maryland and in homes around the world. She is currently approaching galleries in metro Atlanta. Hizer is in the process of moving her inventory off of Etsy and onto her website, http://www.ashleyhizer.com. She has begun working with interior designers and bloggers to highlight some of her pieces. Though she does receive direction for commissions, most of her process is free-flowing. Hizer starts with a base color or colors, then gradually adds more and more layers until her signature swatches of color start to take shape. Hizer remains self-taught, with the exception of a few art classes in high school and college. She describes her process as a mixture of release and refining over time.